Looking for a holiday cake? 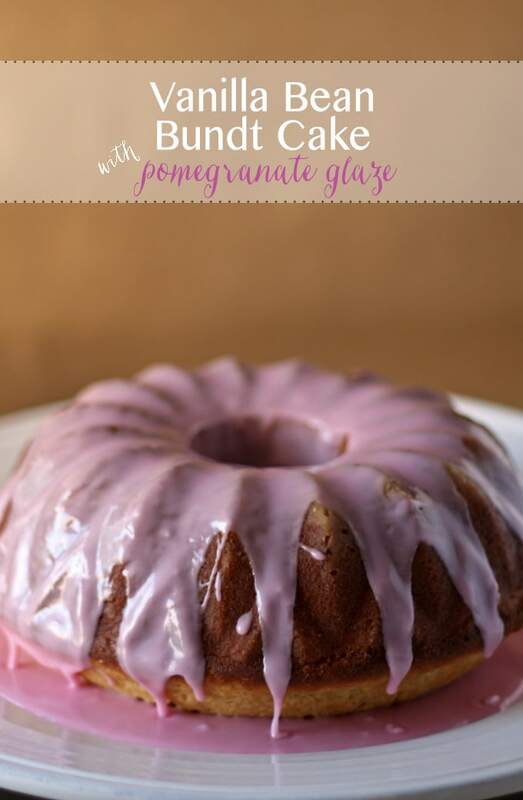 Try this vanilla bean bundt cake with a sweet pomegranate glaze! I am participating in the Food Blogger Cookie Swap again and sent out my cookies last week. The big recipe reveal is coming up on the 15th so keep an eye out – I can’t wait to share with everyone the recipe for the cookies I sent out! While you wait in anticipation for the big reveal, I can still tell you a little bit about how I got to the cookie recipe. I spent days in the kitchen perfecting my cookie recipe. Literally – I wish I was exaggerating. I finally came up with a good recipe after two tries and gave some cookies to a few people to taste test – I think if you are sending out cookies to fellow food bloggers, its a good idea. Anyway, I had some friends help me out and after I got the thumbs up, I went back to the kitchen the next day to bake my 3 dozen to send and 2 dozen to photograph. And I couldn’t find the recipe anywhere. I wish I was kidding – I looked everywhere. Sometimes when I’m cooking or baking, I scratch out my recipe on whatever scraps of paper are around at the time. That’s kind of what happened to with that cookie recipe. Sometimes these scraps are small and get lost. Rarely lost, but it’s not the first time. Needless to say, this was a disaster. I remembered the ingredients but not the amounts. I consider baking more like a science – if you add 1 tsp too much/too little it can really change the recipe. I went BACK to the kitchen to start over. This time, it actually took me more attempts to get a decent recipe and it was close but not quite the same as the original recipe I thought of. What the heck Jen! I said that quite a few times over the two days I was re-creating a cookie recipe. And then when I finally found one, I had to go back and bake the 5 dozen for the cookie swap. What a mess. In total, I threw out 3 batches of cookies/cookie dough! I tried to save them but two batches came out more like rocks than cookies, and one batch looked good but tasted like dirt. Baking is harder than it looks sometimes. But don’t let this story discourage you – it can be so much fun too! After all those dozen cookies, I went back to the kitchen, but this time to bake a cake. I have a lot of random baking supplies, mainly from my grandma, when she passed away. For some reason, I inherited most of her baking/cooking supplies – at the time, I wasn’t cooking so it was kind of weird. But it’s led to some amazing baking experiments. 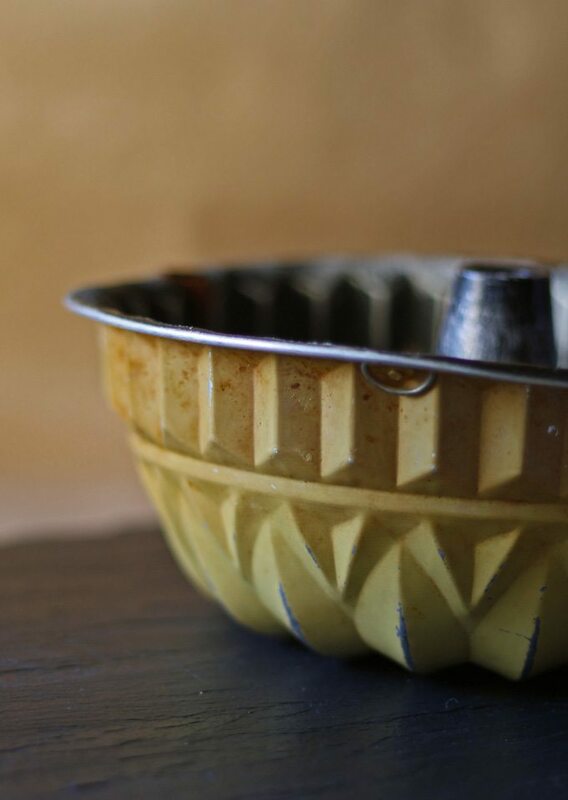 One of the items that was passed along to me was my grandma’s bundt cake pan. I took it out recently and had it sitting on the counter one day when my mom came over. 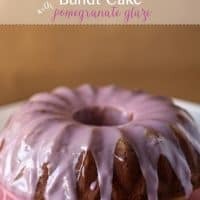 It was funny – she took a look at it and said “I didn’t realize you’ve made so many bundt cakes!” The pan is scratched and looks well worn, but loved. 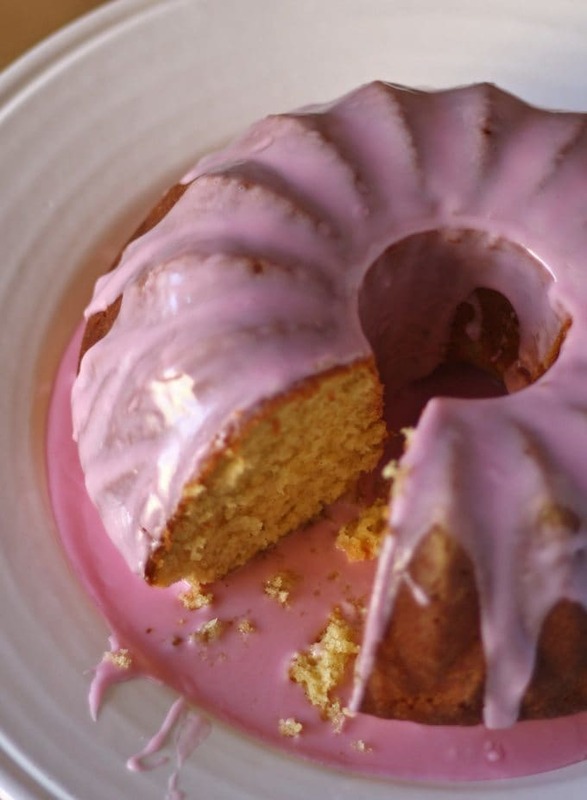 It hadn’t been used in many years thanks to it sitting in a box for the last few years, but after making this recipe, I know it is just as good as a brand new bundt pan. Maybe even better. 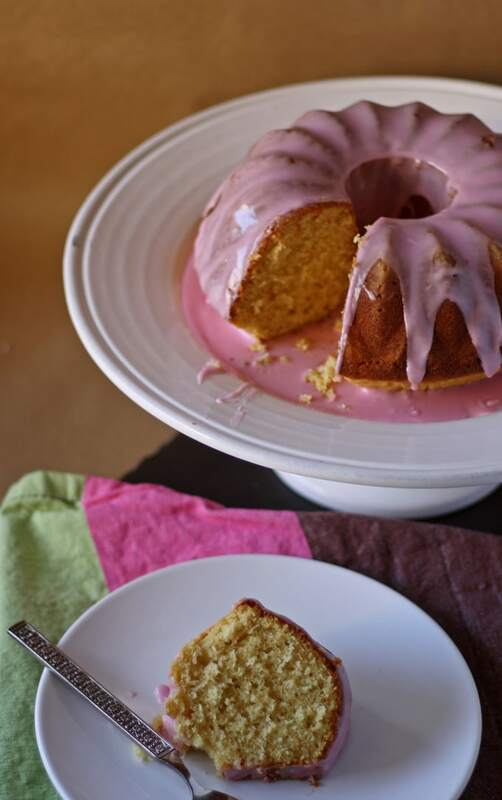 This bundt cake is another recipe that got scratched out onto scrap papers. It is a recipe from somewhere, modified, but I can’t remember where. I will update this as soon as I remember, or find the paper I scratched the source down on. The pomegranate juice can be bought at the store, or you can make your own really easily. Just put some pomegranate seeds in a blender or food processor. Processor until as the seeds and juice are separated – then pour all the blended pomegranates through a fine mesh seive, saving the juice. 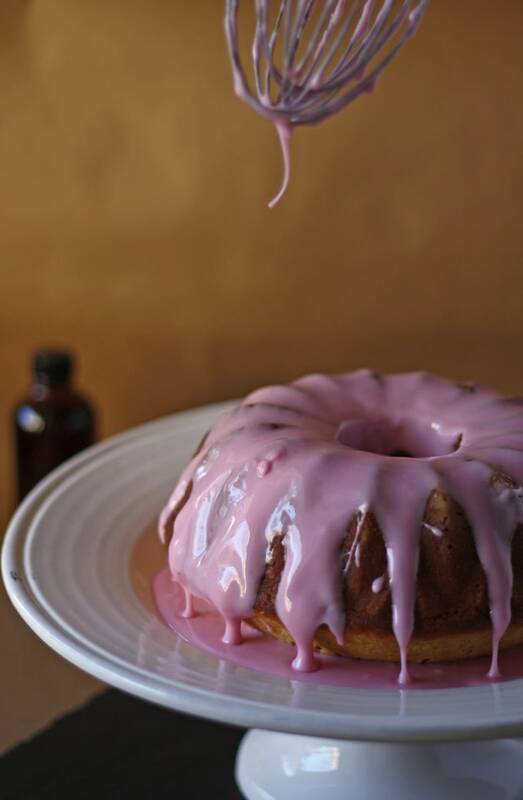 Do this if you can’t find 100 percent fruit juice and you’ll be set to make the glaze. In a medium bowl, combine the flour, baking powder and salt with a whisk. Set aside. In the bowl of a stand mixer, cream together the sugar, butter and eggs on medium speed. When well combined, reduce speed to low and add the milk, vanilla extract and scraped contents of vanilla beans. Discard the vanilla bean pods. When the milk and vanilla are blended with the sugar mixture, slowly add the flour mixture. Mix until smooth. Pour cake mixture into the prepared pan and bake in the oven for 35-40 minutes, or until a toothpick put into the cake comes out clean. Remove from the oven and let cool. Turn out on to a cooling rack. 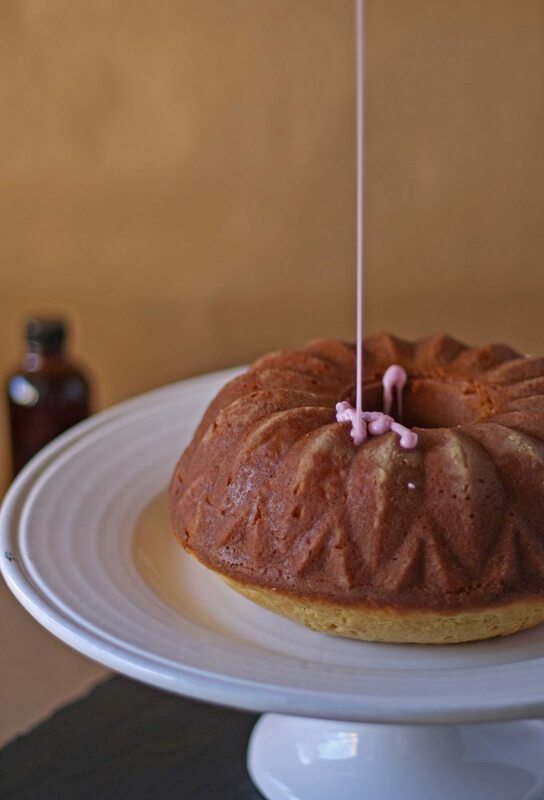 While cake is cooling, combine confectioners sugar, pomegranate juice and vanilla extract in a small bowl. Whisk or mix together until well combined. 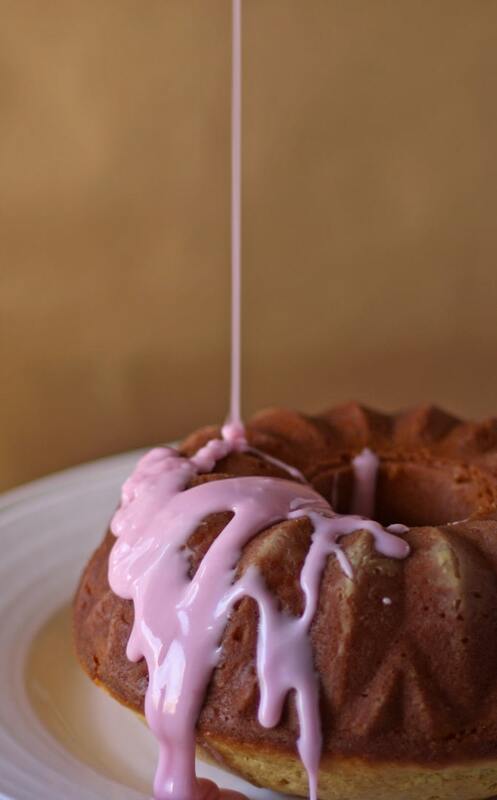 Drizzle glaze evenly over cooled cake. This looks so lovely – such a pretty color! I inherited my aunt’s electric skillet – which I love because it was hers! Glad I found you at Foodie Fridays! Thanks Susan! That’s exactly how I feel about all of my grandma’s cooking supplies – every time I cook or bake, I feel like she’s with me. 🙂 Have a great weekend! This is a fantastic cake!! Oh but that cake! That cake is just too pretty to eat! 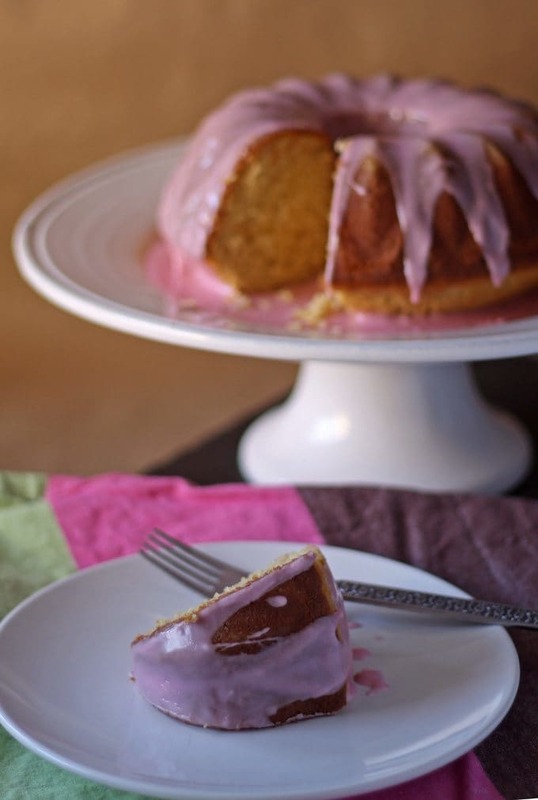 I love the colours, love the cake, love the flavours, love the bundt pan too! 🙂 I am pinning this and adding this to the front of the list of “must bake soon”! Thank you for sharing this! Happy FF! Dini – it felt like the world’s worst thing at the time, losing my recipe, but the end result was still yummy. 🙂 Right now, my work space is scattered with about 20 various “scraps” all containing a recipe for the blog. Lol, I guess I still haven’t learned. 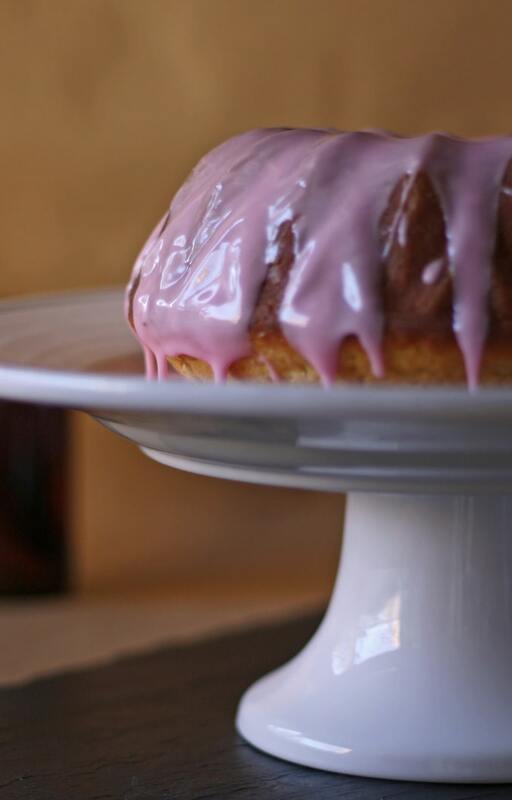 Thanks for the cake love – I couldn’t resist with that pink glaze! I may make pomegranate juice my new food coloring. Have a great weekend! I’m totally like you in the kitchen! I have a dedicated notebook for recipe development, but if I’m cooking on a whim…I grab the nearest sheet, scibble a few things down and then add exact measurements while I’ve got buttery hands coated in sugar. Or whatever ingredients I happen to be using:p I can’t wait to see your cookie recipe! !